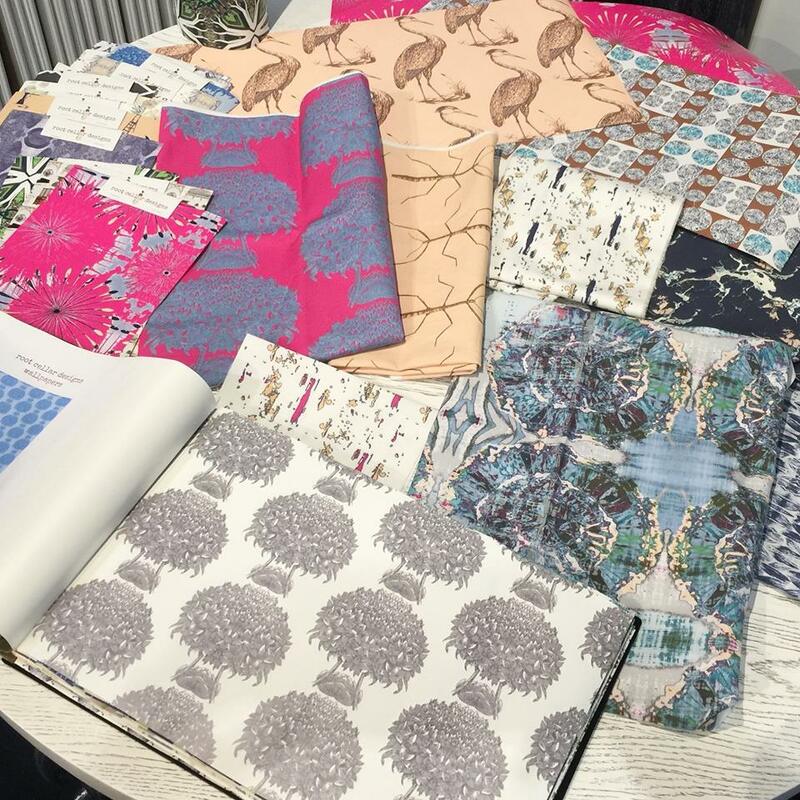 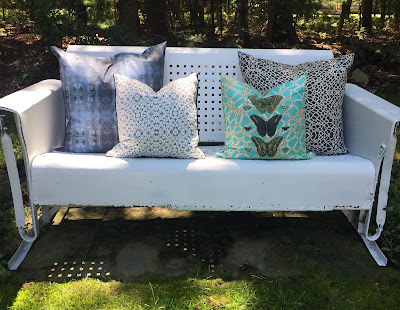 In addition to our usual linen/cotton textile we now offer all our printed patterns on a performance textile we call PORCH TEXTILE. This fabric is water, mold and stain resistant and suitable for upholstery for indoor and outdoor use. 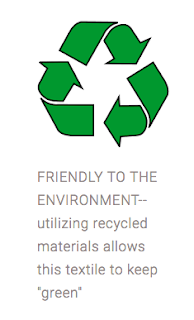 The textile is created utilizing recycled materials to boot! 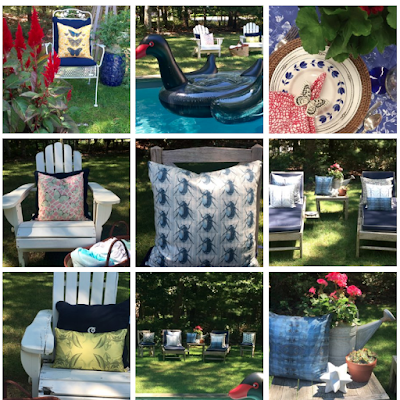 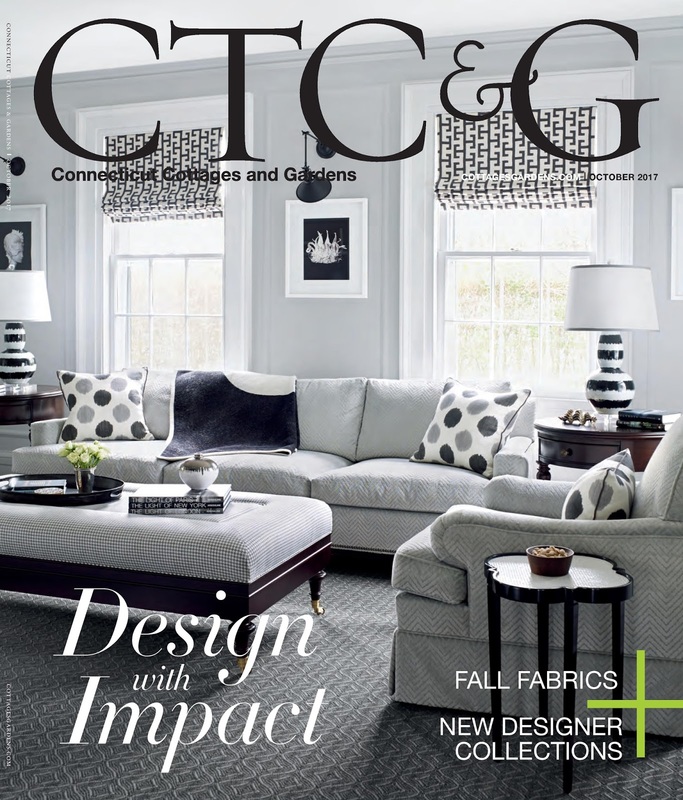 And, a big thank you to Connecticut Cottages and Gardens for this lovely profile...telling our story of how we came together to create our company, just two years ago. 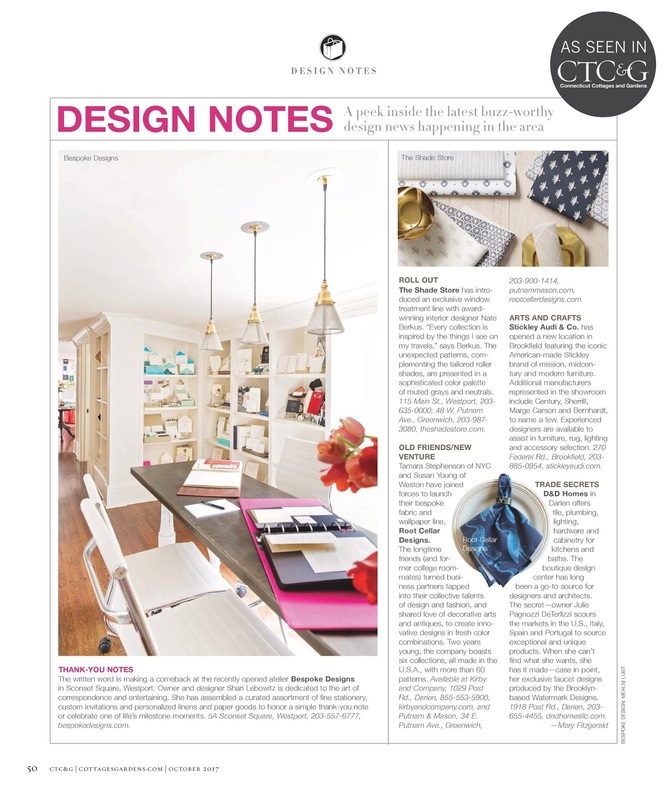 The Design Notes column is our favorite!